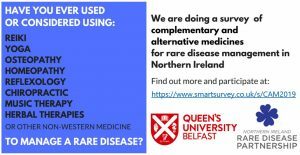 The Centre for Public Health at QUB (@CPH_QUB) are researching the experience of using complementary and alternative medicines for rare diseases in Northern Ireland. As part of this work, NIRDP and the Centre for Public Health are hosting a discussion workshop for people with experience of using complementary and alternative medicines, or who are considering this approach, to share experiences and gather information. Before Christmas, NIRDP wrote to the Secretary of State for Northern Ireland asking for reassurance that access to medicines, especially those specialist drugs needed for rare diseases, would be maintained in the event of a No Deal Brexit. prioritisation of medical supplies in the ferry spaces which government has purchased. If anyone has a particular worry, contact us on info@nirdp.org.uk, and we will follow up. As part of our NIRDP “training” work, we are holding a Workshop for those who are Trustees/Governors/Directors of Charities and voluntary organisations; or who are thinking of taking up the role. This is a great opportunity to learn more about how Boards work; and what is needed from Board Members to make their organisations work effectively, as well as to learn about how to manage information , under the new GDPR rules. It will be fun and very informative; and it’s FREE! We are busy finalising the Programme for this, the Fourth Joint North South Rare Disease Conference. There are still some details to sort out, but see below for the latest version. 14.15 – 15.15 WHAT DOES SUCCESS LOOK LIKE? The Competition (with prizes!) aims to showcase examples of research, academic, clinical, social where patients and families were engaged and involved; what difference it made; and what is happening now and into the future. So if you or your organisation have worked with rare disease patients, families and carers to do any research, surveys, etc which are being used or could be used to influence and shape treatments, care and services for people with rare disease, send a short abstract to rarediseaseday2018@health-ni.gov.uk , with POSTER COMPETITION in the Subject line, by Friday 23 February. Posters must be A0 size Portrait, and brought to Riddell Hall on the day by 9.00am on 5 March 2018 for display. Stronger Together Project starts work! Sandra Campbell, Tanya Boggs, and Fiona McLaughlin: Getting the Stronger Together Project off to a great start in Derry! Today marks a great step forward for NIRDP and for all those affected by rare diseases in Northern Ireland, as Tanya Boggs, our first “Stronger Together” Project Officer, starts work! 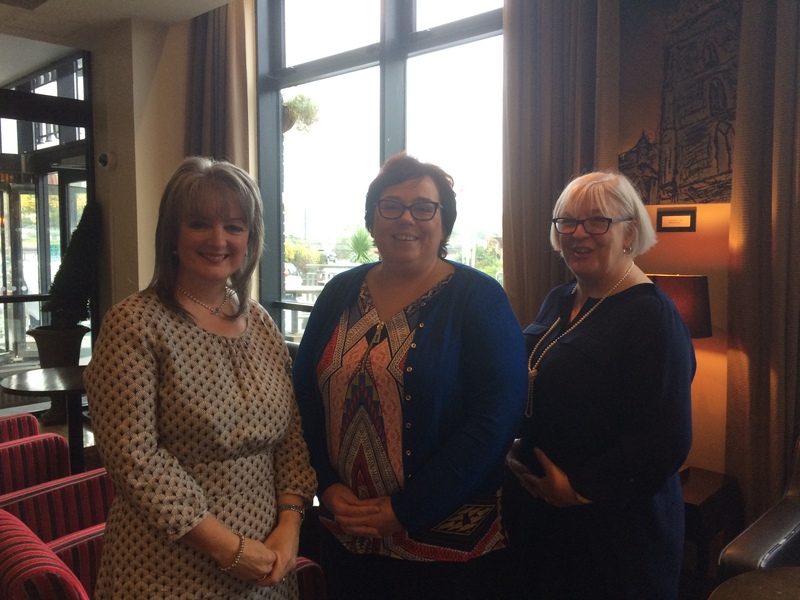 Fiona McLaughlin (NIRDP Chair) and Sandra Campbell (NIRDP Director and Foyle and NorthWest Rare Disease Forum Lead) welcomed Tanya; and started the process of building our “Stronger Together” Project, funded by a grant from the Big Lottery. Our NIRDP vision is that no one is disadvantaged because of the rarity of their health condition. Stronger Together is a 2 year pilot project which will enable people who live or work with rare disease to connect, advocate, educate and innovate in partnership with each other and others (e.g. Department of Health; other Departments; other charities). The project will provide peer support, volunteering, networking and advice. 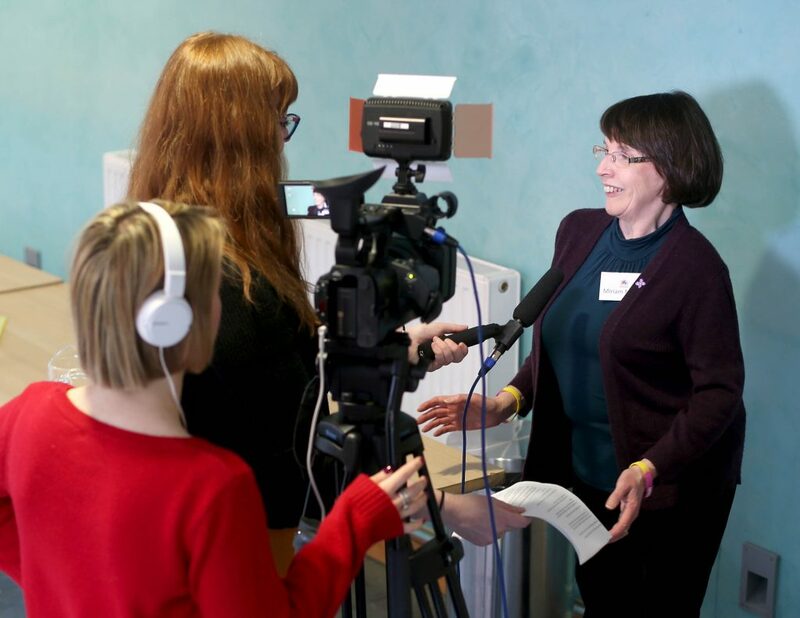 It aims to make the ideas put forward in the Communications Workshops earlier this year, for improving accessibility to information and support into a reality; and so to make a positive difference to the way people affected by rare diseases live. Come along to the Foyle and North West Rare Disease Forum meeting in the City Hotel, Derry on Monday 6 November from 11am to 1 pm to meet Tanya and others, and to celebrate this first step on the road! As part of the work on the NI Rare Disease Plan, NIRDP has been running a series of Workshops across Northern Ireland, and an Online Survey, to identify information needs in relation to rare disease issues; what information is currently available and what information people would like to help them live or work with rare conditions. On 7 June, a workshop chaired by Professor Ian Young, the Chief Scientific Officer and Chair of the NI Rare Disease Implementation Group, heard about progress in genetics, presented by Dr Tabib Dabir, Clinical Lead, NI Regional Medical Genetics Service (and member of NIRDP’s Board) and in metabolics, presented by Dr Clodagh Loughrey, Consultant Chemical Pathologist and Clinical Director Laboratories, BHSCT. It’s clear from these presentations that the pathway to diagnosis, and the options available for management and treatment of complex and rare conditions, will soon alter dramatically. Indeed some changes are already happening, with an individual’s genetic make up helping to determine the best course of treatment in some cases. It’s essential that we think through how to make best use of these advances! Participants then considered the emerging findings from the Workshops and the Survey, presented by Dr Jane Miller, Research Fellow at the NI Genomic Medicine Centre and NIRDP Chair Fiona McLaughlin, before working in five groups to validate and consider how progress could be made on the key areas identified in the Workshops and in the Survey. Develop care pathways / flow charts / support plans / signposting. Have one ‘go to person’ who co-ordinates care and information sharing between those involved in care: “Care navigators” to support patients, families, and clinicians. Develop a hub / portal for accessing information for medics, other professionals and people with a rare condition/disease. Develop referral routes to support groups, or to other people with the same condition, from the point of diagnosis. Look and take learning from other models e.g. Cancer Care; Maternity Care (where mothers hold information in The Red Book) Downs Syndrome etc. There were many valuable suggestions, and much learning across the whole group- for example, about the proposed introduction of the SNOMED coding system across both primary and secondary care; and planned technological developments within Health & Social Care. Also, locally based training for patients, along the lines of the EUPATI modules some of our members are already familiar with, is hopefully to become available. We are still processing all the information that emerged; and planning follow up through a virtual working group to take forward the ideas in more detail. Further details to follow- watch this space! This is to provide more information on the Focus Workshop, aimed primarily at Healthcare professionals, which is being held from 4pm to 7pm on 7 June, in the Grosvenor Hall, Glengall Street, Belfast BT15 5AD. The Focus Workshop builds on the Workshops held across Northern Ireland during March and April. It will consider the findings and recommendations from those Workshops; and agree priorities for action. It will also focus on identifying existing information and communication channels used by clinicians and other healthcare professionals working with rare diseases; and consider how these might be improved. Please register now to attend; and also complete the Survey to ensure that your voice is heard! 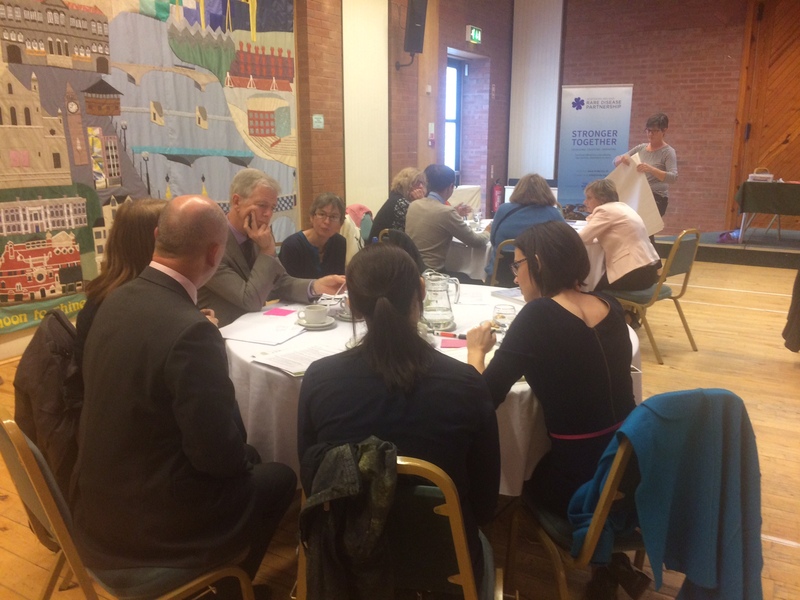 NI Rare Diseases Implementation Plan: work in progress! Over the past month, NIRDP has held well attended Communications and Information Review Workshops across Northern Ireland. Thank you, to all those who came along and contributed so powerfully; and a special “Thank You” for their time and support to our speakers, Dr Fiona Stewart, Dr Vivienne McConnell, Dr Deidre Donnelly, and Dr Gillian Rea from the Regional Medical Genetics Service, to Ryan Wilson from the Department of Health, and to our Facilitator, Grace Henry. A Training Needs Analysis for doctors and other clinicians in rare diseases building on the existing presentations, delivered in part by NIRDP Members, in year 1 and year 5 of the medical training course. This work programme is being overseen by the Rare Diseases Implementation Plan Steering Group, led by Professor Ian Young, Chief Scientific Adviser to the Department of Health. The aim is to have a Report by Christmas; an “action research model” is being used, so wherever possible learning can be translated into practice without delay.